“And I Am Telling You” is probably one of the toughest songs to sing for any artist – but obviously it’s no big deal for 15-year-old Sarah Ikumu. 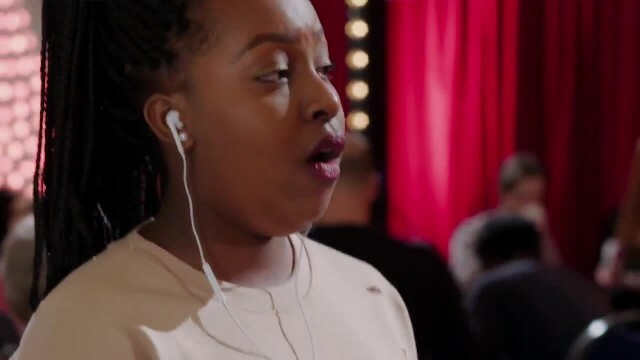 When the incredible songstress tells Britain’s Got Talent judges that she plans to sing that tune, Simon warns her that it’s one of the hardest songs out there. Despite his opinion, she remains confident and is ready to show them what she’s got. The music starts up and, sure enough, Sarah belts out each word to the Dreamgirls anthem like a true professional. Sarah hits every high and low note, every verse and even has the hand motions to go along with it all! Not even halfway through the song all of the judges are cheering Sarah on and trying to figure out how such a young girl can have such a powerful voice! As soon as Sarah wraps up “And I Am Telling You,” all of the judges (and everyone in the audience) give her a standing ovation. One by one, they tell her why she blew them away – but nothing means more to Sarah than Simon’s kind words. Then, without warning, Simon reaches over and does something that left Sarah in tears. Watch her breathtaking performance for yourself in the video below. It’s hard to believe she’s only 15!